By the time you read this, the minis would have already woken up from their nap (if they’re still sleeping, I would have been playing Northern Tale hehe! ), the pile of laundry that had been hanging around on our staircase would have been drying outside, and the dirty plates that had been in the kitchen sink since this morning would have been cleaned and put away. There will still be some toys lying around the house, but that’s fine since we usually pack away in the evening. 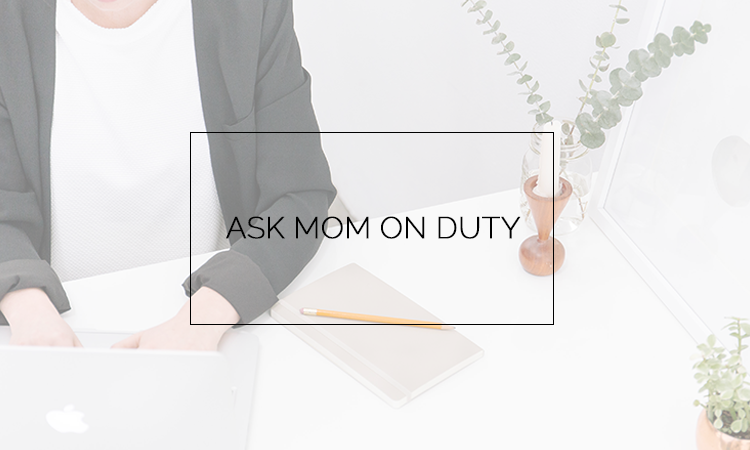 By this time, I should have been done with work—it is my rule of thumb to end work by noon so I can spend some time with my little ones and my husband—unless, of course, there are things on my list that are urgent so I add a few more hours of work. Usually, though, I am already taking a break around this time…a break I much deserve because my day starts at 4 in the morning! “Where do you get that energy?” some of you may ask. Well, I don’t always have that energy. Today is one of those good days. You know, days when the stars align—work isn’t as stressful, the kids are more behaved than usual, you have the energy of a dozen toddlers—so everything planned for the day is accomplished. But even though not all days go this way, I’m okay. Yesterday, we had three piles of laundry waiting to be washed, there were dirty pots, pans, plates, and glasses in the sink that had been there from morning ’til evening, and the whole house looked like a tornado passed by. Plus, I had a bad headache combined with an upset stomach and a 2-year old boy who seemed to have had heat hives (he’s fine now). Despite yesterday’s (and most days’) mess, I’m okay. What matters to me now is not a tidy house, but more of having that happy—blissful—feeling every time I do what I do in the house, for my family, and for my clients. This is what I refer to as Blissful WAHM-ing. Thank goodness I had the opportunity to attend one of Martine de Luna’s workshops. 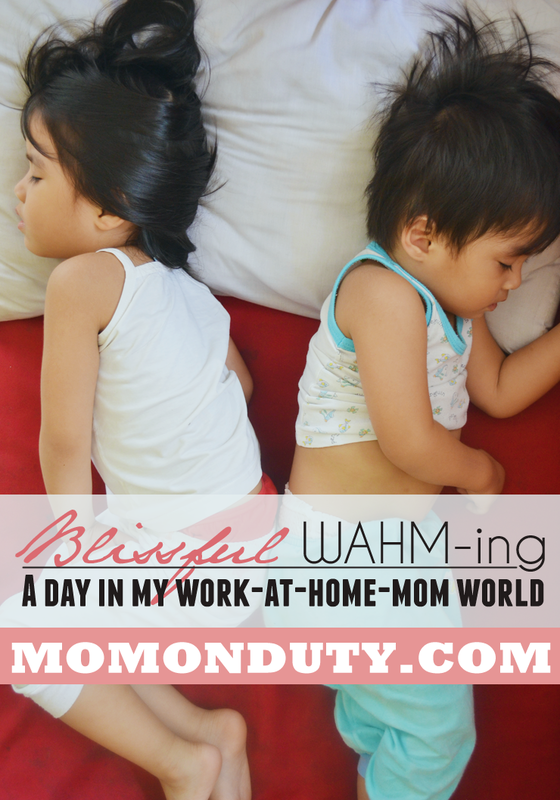 Sure, the workshop was about writing, but Martine also shared some of her thoughts on creating a blissful life; all of which I took with me in my journey as a WAHM. Go check out Make It Blissful for a doze of inspiration! True enough, when you create a life according to your terms, nothing will really feel like work. I do get tired sometimes—in fact, I’m always the one in the family who always goes down with a cold—but it’s tired-ness that I don’t really feel bad about, you know what I mean? So that’s my day as a work-at-home mom. How was yours? Hi blogelina classamate. I love your blog! Yay to finding a blogger in Asia 😛 I’m a sham to a 1 year old and everyday I have to remind myself he is my priority and not house chores and cleanliness. Sometimes I forget and get carried away. Hello there, Lerie! Thanks for dropping by. 🙂 All moms tend to get carried away so no worries. Lol! I have always admired your passion to put things together at home- work, family, passion. I have the same situation too, you know. Cleaning up whenever I want to. It’s a big adjustment to us not having a nanny/household help but I’m slowly getting by. I love this article, it has that serene, peaceful feel amidst the chaos. I hope you guys are doing well over there!